Caritas Internationalis is concerned by the escalation of violence and deterioration of human rights in Burundi. This will have catastrophic consequences for the people and it risks destabilising the region. At least 400 people have been killed since April, with the death toll perhaps considerably higher. Around 3,500 people have arrested in relation to the political crisis. 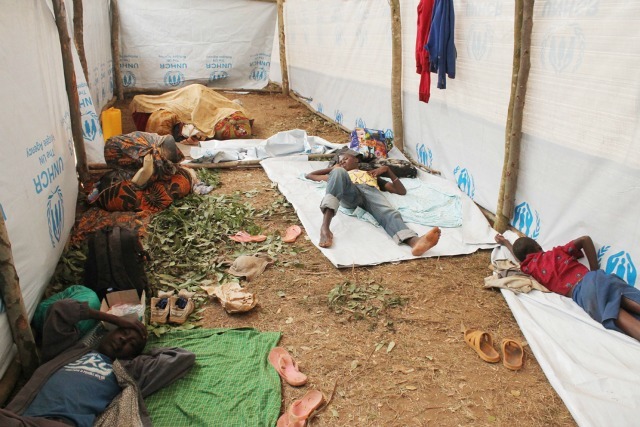 The instability has forced 220,000 people to flee to neighbouring countries, with many other displaced. Msgr Robert Vitillo, Caritas Internationalis Head of Delegation at the UN in Geneva, said, “Burundi has been plunged into frightening poverty, lack of essential medicines and other basic supplies. Caritas provided a statement at special meeting of the UN Human Rights Council in Geneva on the escalating violence in Burundi on 17 December. Read the statement. Caritas called on the government to live up to its obligations to protect the people. The international community must also take the necessary steps to support greater security. Encourage inclusive talks to end the cycle of violence and reprisals. Call on the government to guarantee the security of humanitarian organisations. The international community must resource humanitarian action. The international community must end the suspension budgetary aid, which is penalising the people. Neighbouring countries must welcome with dignity all refugees. The UN Human Rights Council must appoint an independent expert for Burundi.